The University of Utah Program in Neuroscience presents Dr. Beth Stevens who will deliver a seminar in the Eccles Institute of Human Genetics auditorium, Tuesday April 15th, 2013 at 4:00pm. 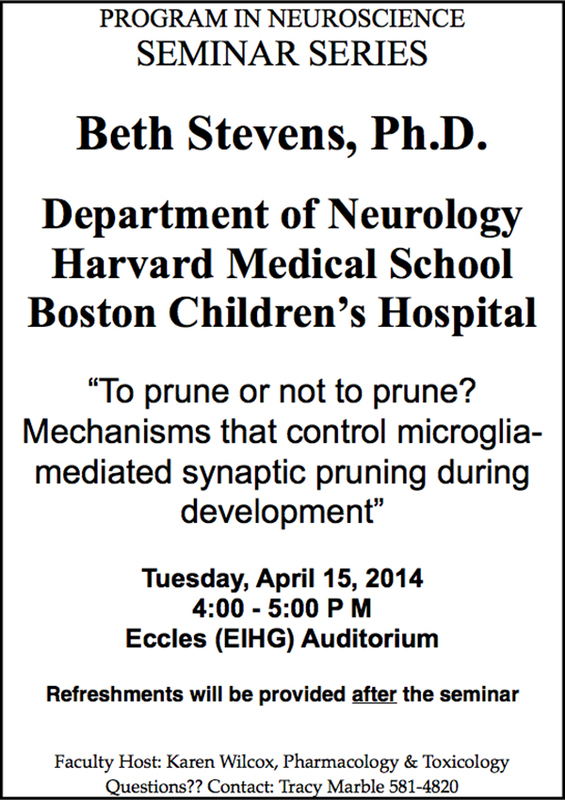 Dr. Stevens will discuss “Mechanisms that control microglia-mediated synaptic pruning during development”. Faculty host is Karen Wilcox. Questions: Contact Tracy Marble at 801 581-4820. 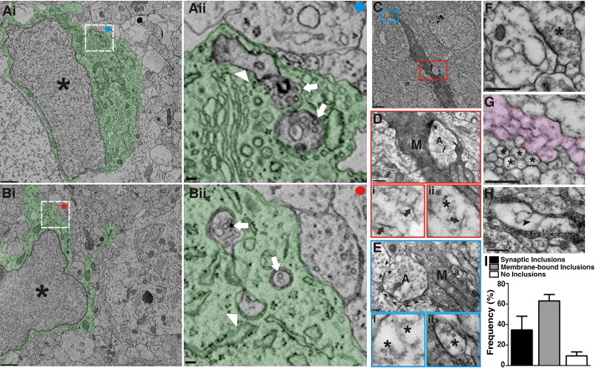 This very cool study by Dorothy P. Schafer, Emily K. Lehrman, Amanda G. Kautzman, Ryuta Koyama, Alan R. Mardinly, Ryo Yamasaki, Richard M. Ransohoff, Michael E. Greenberg, Ben A. Barres and Beth Stevens demonstrates how the immune system can participate in the circuitry of the developing mouse lateral genicular nucleus (LGN).